The Great British Sunday lunch; the culinary highlight of the week for many across the land. Whether you call it a roast dinner, Sunday roast, Sunday dinner or Sunday lunch, it comes in all different shapes and sizes. 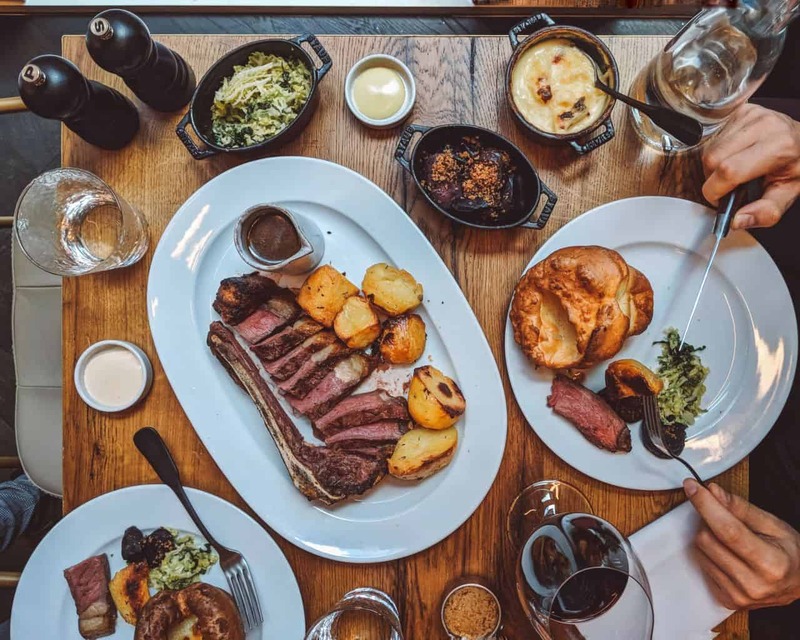 The nice folk over at McCain have conducted a poll of 2000 people as part of their great roast debate, to find out some of the most inventive roast dinner combinations and uncover the true roast habits of the nation. And you might be surprised at the results. 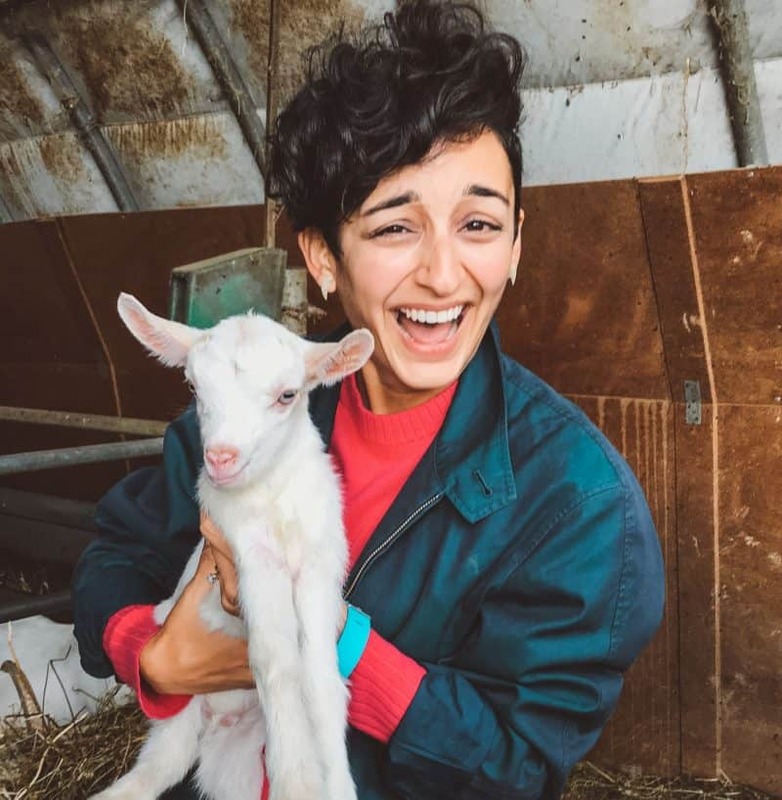 Plus, they’re hosting a build your own Roastaurant pop-up, just serving roasts (JOY). Read on! Here are 6 ways the great British public enjoy their Sunday lunch, and my thoughts on each. My thoughts: Agreed. You can’t beat crunchy roast potatoes with fluffy middles ready to soak up all those Sunday roast juices. In my eyes they are an essential part of any Sunday lunch. Please can I have ten? My thoughts: Ketchup is the spawn of Satan and if I were Prime Minister for the day, I would bury every single bottle as close to the centre of the earth as possible, where they belong. But sure, I understand it has fans. I once knew someone who took ketchup and cheese sandwiches to school. She didn’t make my party invite list. I find it far too sweet, and would choose brown sauce over ketchup every day of the week. But NOT for a Sunday lunch. Who’s with me? My condiments of choice, especially with a beef roast dinner, are horseradish, mustard, Gentleman’s Relish. YES. My thoughts: You lucky people, and can I come over? I really love a roast, and I have been known to roast a whole chicken during the week. Not necessarily in a traditional Sunday roast kind of way, but often in a Mediterranean style with loads of lemons, gremolata and some polenta. I wonder if that would still count as a roast in this survey? My thoughts: I LOVE EGGS. The world loves eggs. If it if were up to me, I’d put an egg on almost everything. Maybe even my cereal. So I’m fully behind the addition of a fried egg to a Sunday lunch. Meatballs, sure. A nice minced substitute for a whole hunk of meat. And it means you can flavour them how you want. Ketchup? GET OUT OF MY HOUSE. My thoughts: The more veg, the better. In fact, the vegetables can often be the star of a Sunday lunch show. Heck, I’d even by happy with a vegetarian nut roast and some veggie gravy. Anything but ketchup. My favourite vegetables with a roast dinner definitely include something dark green, either kale or some other sort of brassica. Tender stem broccoli is a great shout too. Or a load of steamed spring greens. My thoughts: Well of course it is. There is surely no one across the land who doesn’t love a beautiful roast chicken with crispy skin. And there are few things more glorious in a kitchen than the gnarly concentrated bits of pure chicken flavour welded to the roasting try. But actually, I also really love a whopping piece of dry-aged roast beef sirloin. Especially on the bone, so I can gnaw on the bits stuck to it for hours. I have no shame at the Sunday dinner table. For all the fans of roast potatoes and a a great roast dinner, I have joyous news. To celebrate the diversity of the great British Roast with McCain, they are opening the doors to a speciality ‘Roastaurant’ (like what they did there?) in East London, for a few precious days in December. Through their pick ‘n’ mix style options of protein, sides, sauces and vegetables, there’s a mind-bending 102,000 potential roast dinner combinations that can be chosen, for you to create your ideal Sunday lunch. And it’s not just open on a Sunday! Not to mention a whole load of lovely McCain’s Roasts, made from 100% British potatoes. They’re peeled, cut into generous chunks, par-boiled and then basted in beef dripping. All you have to do is put them on a baking tray and stick them in the oven. Forty minutes later you’ll have perfectly crispy roast potatoes, golden on the outside and white and fluffy on the inside. The stuff my dreams are made of. It’s running from Friday 8th – Sunday 10th December, the location is The Old Truman Brewery on Brick Lane, and you can purchase tickets here. 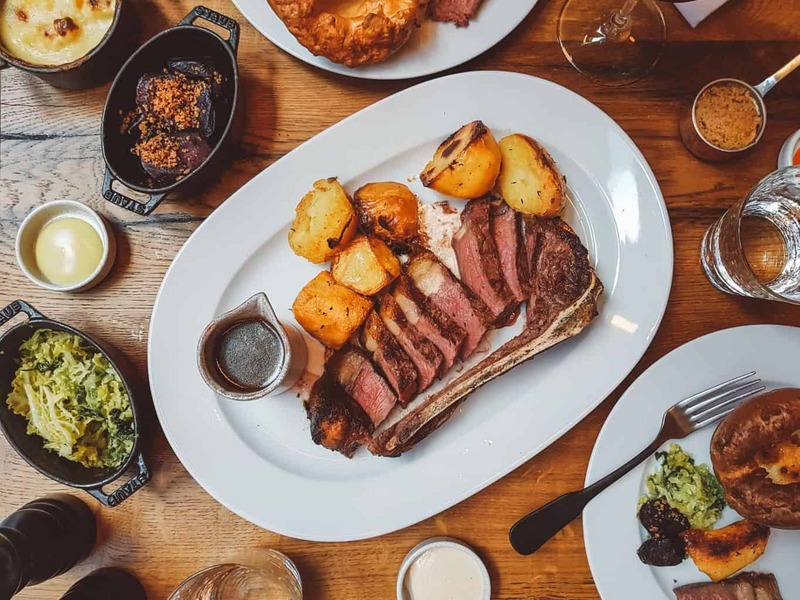 The lunch sittings will host the full McCain Roasts experience along with a gravy brewery, where you can select all the different components for your ideal roast dinner. And the evening sittings involve as many crispy and fluffy McCain roast potatoes as you can handle, plus plenty of gravy. I’ll be there for a day time sitting, and can’t freakin’ wait to rustle up my dream roast dinner. Which will have NO ketchup. Right then, tell me what would make up your ideal Sunday dinner? Do you have any quirky additions in your roast dinner? When it comes to a Sunday roast, what is the absolute no no for you? How many roast potatoes could you demolish in one sitting (be honest now..)? Do you have any secret hints or tips for making the ultimate Sunday roast? Let me know in the comments below! Note: This is a sponsored post in partnership with McCain. See you guys at the Roastaurant! All views remain my own, as always.